Maybelline New York White Super Fresh has UV filters that protect skin from both sun darkening and damage. Helps you stay 12 Hr Fair and Fresh. Contains Perlite, a pure mineral that helps absorbs oil and sweat. Gives a naturally perfect-looking complexion. Contains SPF 28 to protect your skin. Suitable for everyday use. Explore the entire range of Compact available on Nykaa. 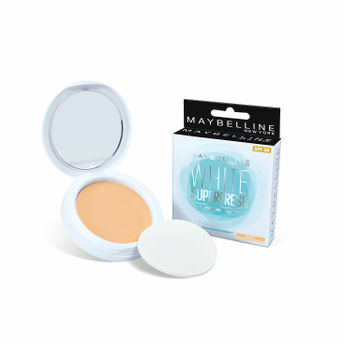 Shop more Maybelline New York products here.You can browse through the complete world of Maybelline New York Compact .